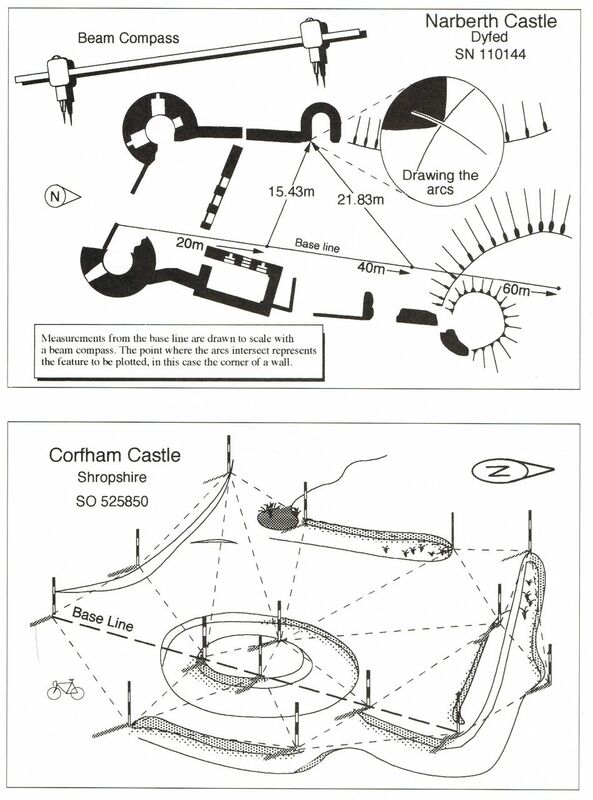 A key element in understanding the gardens at Hanwell is having an accurate set of plans recording all the main features which in the initial stages at least consist primarily of earthworks. 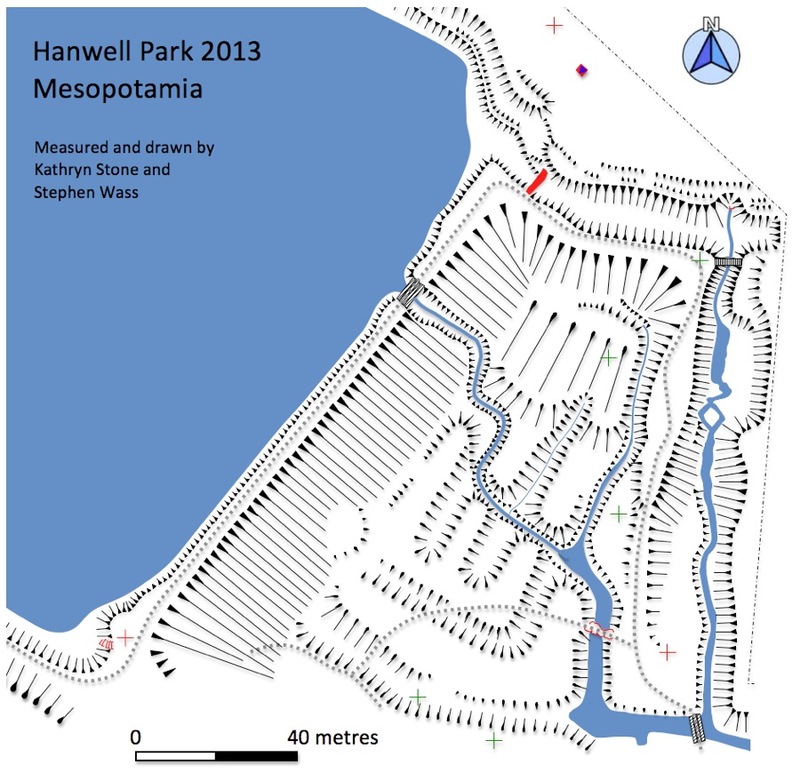 An overall survey of the park was begun in January 2013 at a scale of 1: 400, a slightly awkward scale to work with but one which enables us to fit individual elements of the site onto a manageable sheet of A2 drawing film. 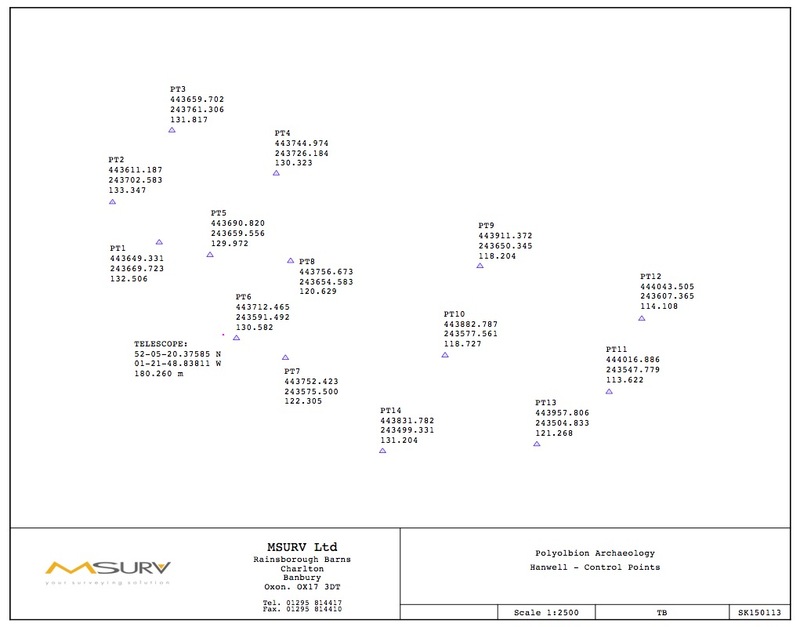 The framework for the survey is a series of fixed points established by a combination of GPS and theodolite readings thanks to the good offices of a local company Msurv. The fixed points start out as simple wooden pegs with a central nail to mark the exact point and hang tape measures onto. Eventually some of these may be converted to more permanent markers possibly set in concrete. 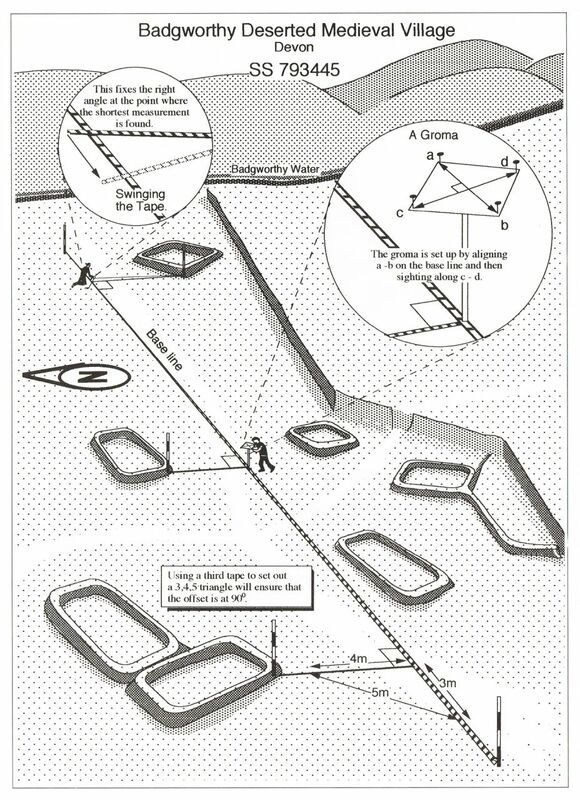 Above is fixed point 1. 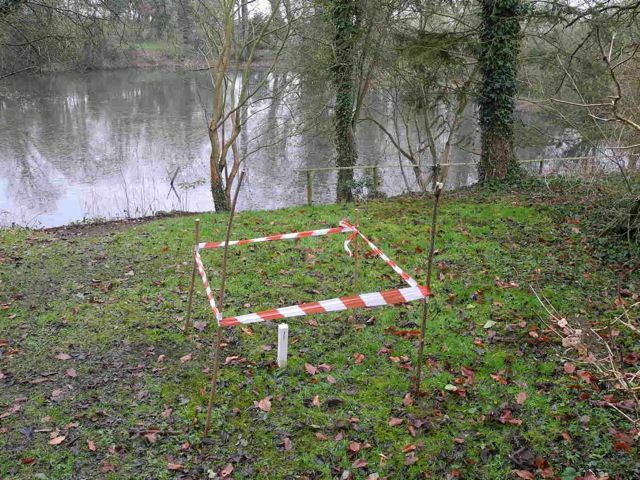 The first area to be tackled was around the Lake. The environs are marked by a complex series of terraces, especially on the north side and there is also, of course, the great dam to the east. Much of the work was done in freezing temperatures with snow on the ground. We also had to be quite inventive in fixing the position of the island on account of the profusion of trees lining the Lake. Some areas, especially around the north-east corner will be subject to a more detailed plan at a much larger scale later in the project. 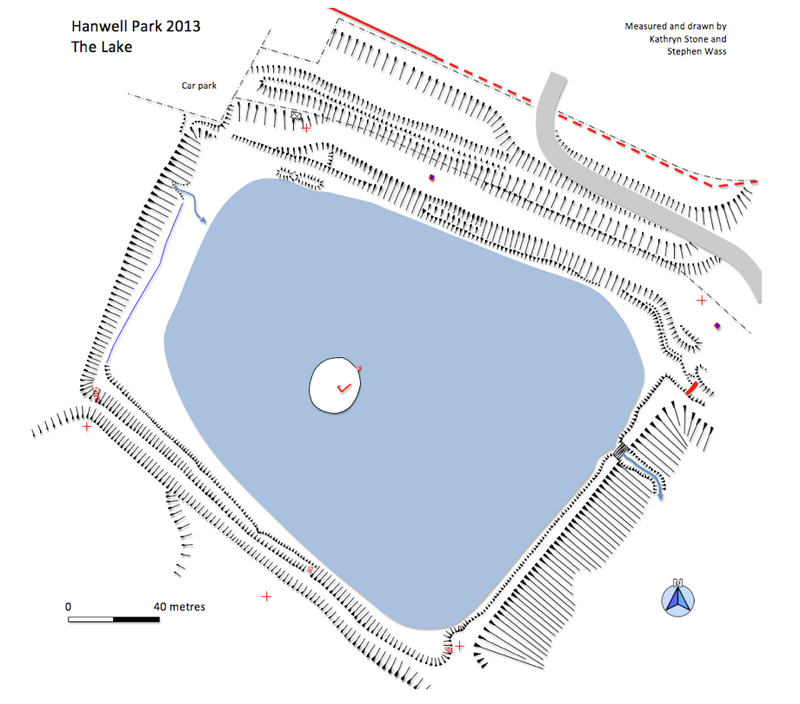 One question which is immediatley raised by this is why is the island not in the centre of the Lake? Could it possily have been lined up with some other feature in the garden perhaps to the south? The natural next step was to examine the land between the rivers, or rather streams in this case, east of the great dam was an area known as Mesopotamia. It proved to be a much more complex undertaking than it first appeared.